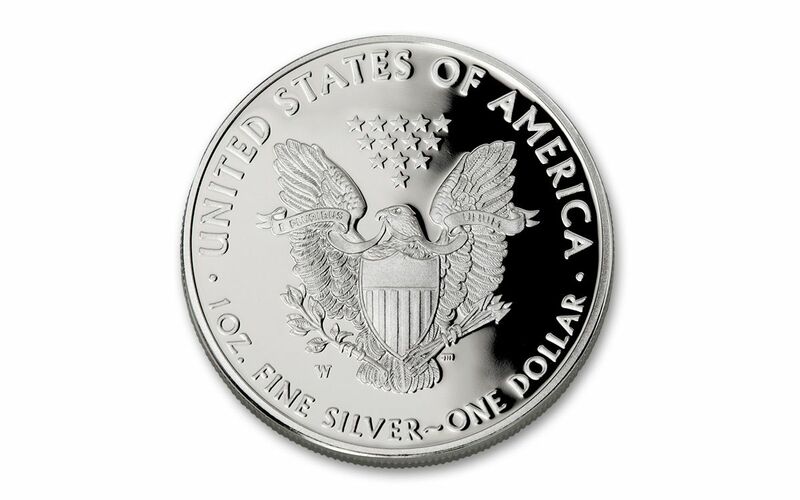 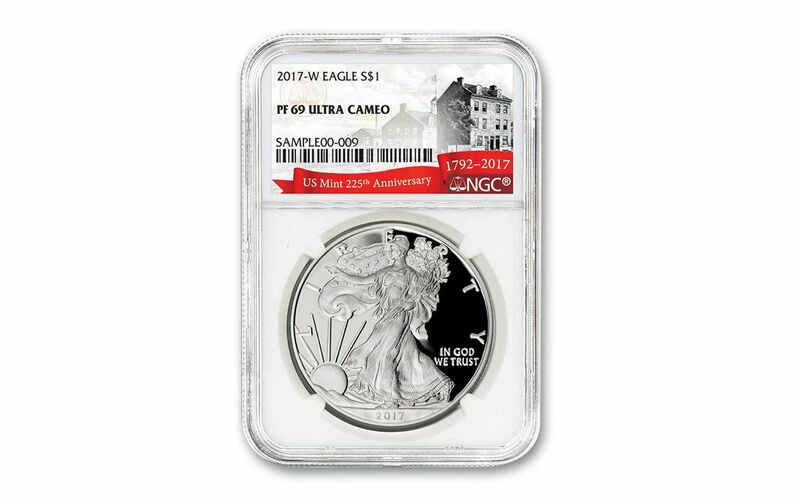 Your coin will be graded Proof-69 Ultra Cameo (PF69UC) by Numismatic Guaranty Corporation (NGC), a distinction that means your almost-flawless Silver Eagle Proof will showcase an impressive full strike and indistinguishable imperfections -- well above and beyond the quality of the vast majority of proofs in the series. In fact, many collectors prefer the PF69 grade since it certifies recognized collector status for just a small premium above ungraded Silver Eagle Proofs. 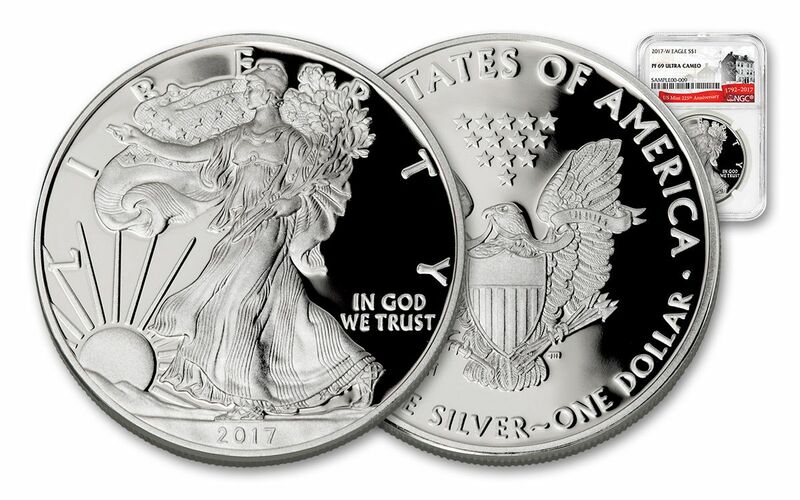 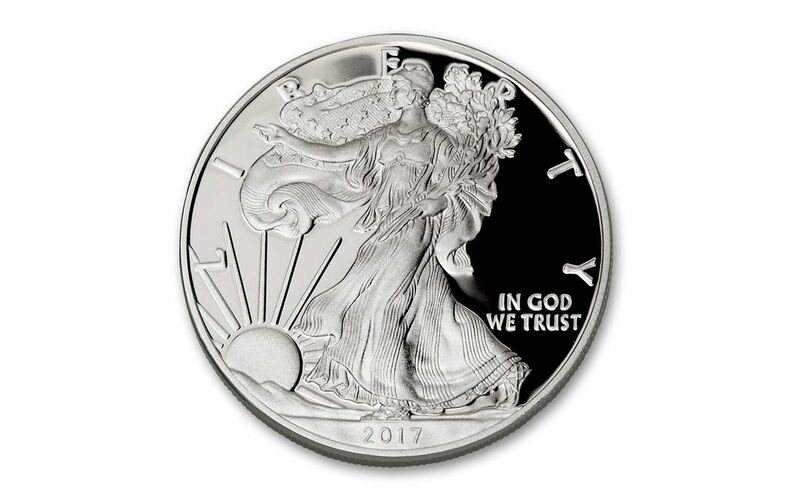 Finally, all of your Silver Eagle Proof's unique characteristics will be described in detail on the acrylic case’s special 225th Anniversary label, celebrating the founding of the U.S. Mint in 1792 and featuring an image of the first mint in Philadelphia.